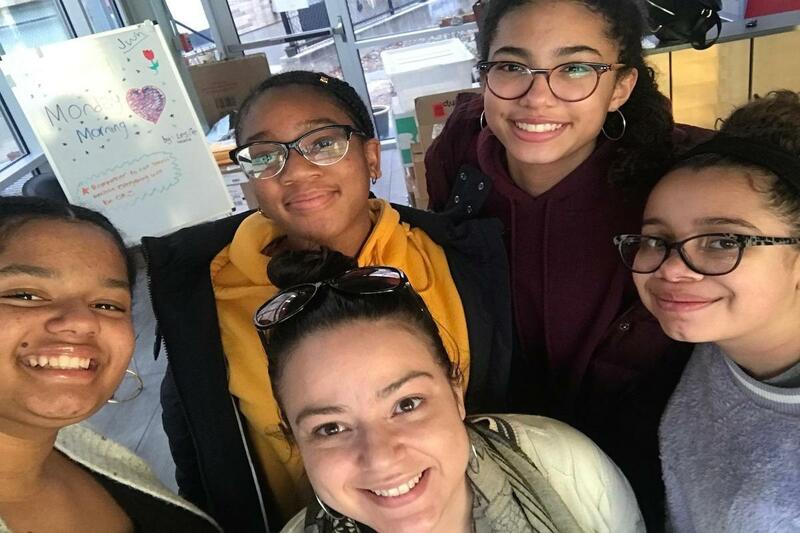 Twelve 8th graders from Community Prep shared experiences and made new friends recently at a Middle School Students of Color Conference held in Cambridge, MA. Eighth grade is early adolescence, an often-intense transition time from middle to high school. Typically, much is happening in the lives and minds of eighth graders. The Association of Independent Schools in New England sponsored the gathering, held at Buckingham Browne and Nichols School. The six-hour program featured opening and closing keynotes, workshops, lunch, affinity group meetings, and the chance to share final thoughts. “The conference provided an opportunity for students that aligns with our school's mission," said Principal Anita Bench. “At Community Prep, we understand diversity makes us stronger, and we also strive to help students build their leadership potential." For cultural, family and other reasons, people often have multiple middle and/or last names. That was one reason why Raye said she was thankful for the “What's in a Name?” workshop, “as someone with four middle names and two last names,” she said. The conference also enabled students to listen to and better understand peers who identified differently than them. “I learned from those who identified as Latinx and was made more aware of its meaning and perspectives,” said Gloria. 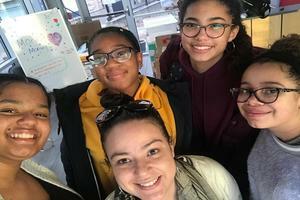 Irene noted that the dance workshop she attended—along with Anaya, Gloria and Koko—was a chance to learn about different cultures, as well as her own. Because 8th graders who attended the conference had such a positive experience, the school now plans to send a cohort of students every year, said Bench. “This annual conference will become something our younger students look forward to experiencing before they graduate,” she said.